Cattle are a group of species mainly kept as livestock for meat and as dairy animals for milk and other dairy products like cheese and butter. 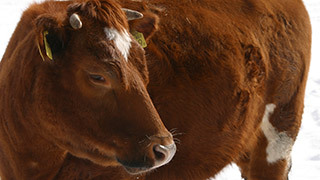 Cows are kept on all continents except Antarctica. They mainly feed on grass which is quite hard to digest which is the reason cows have four stomachs their food travels through.